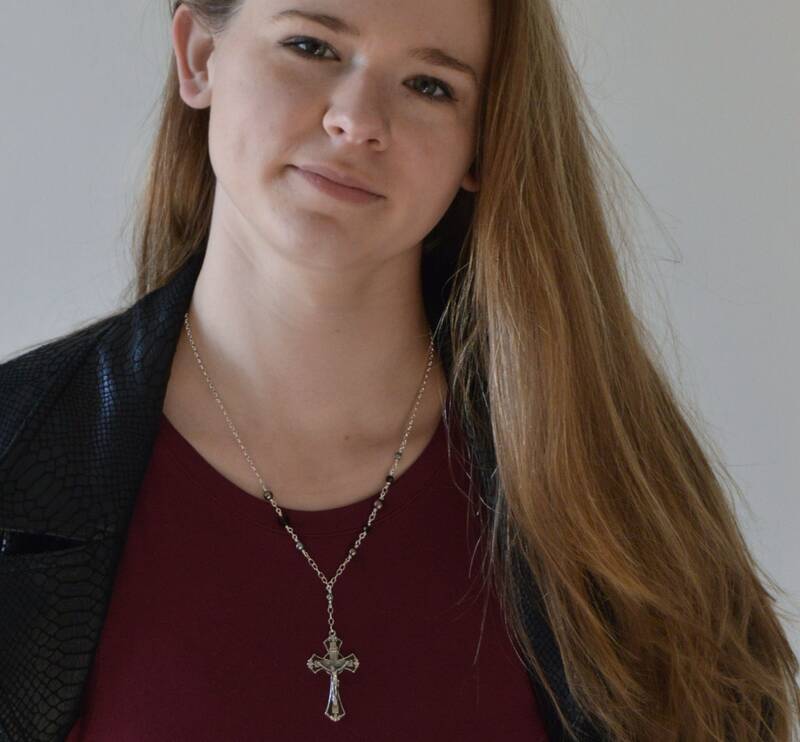 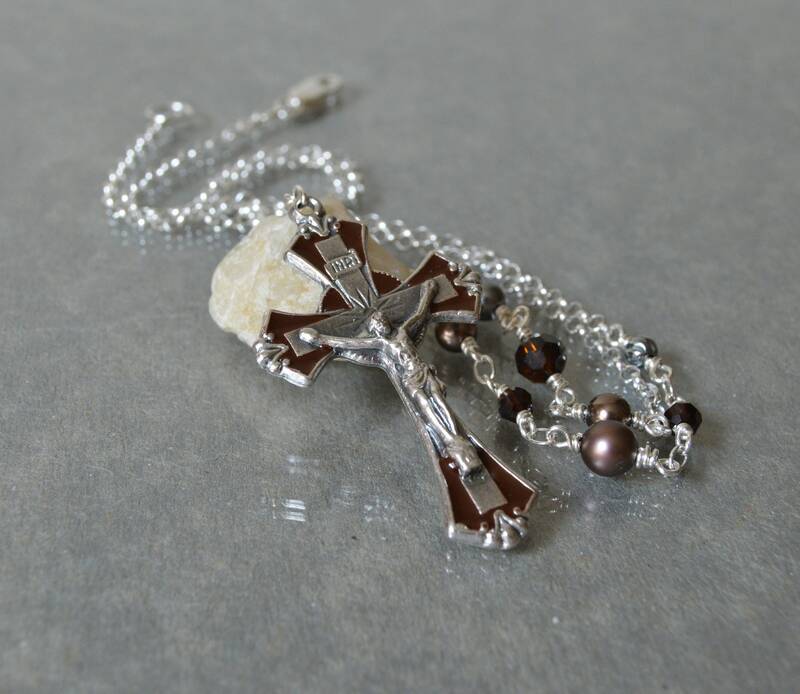 Catholic Jewelry presenting an enameled cross necklace for women in rich and warm shades of velvet brown, mocca and silver. 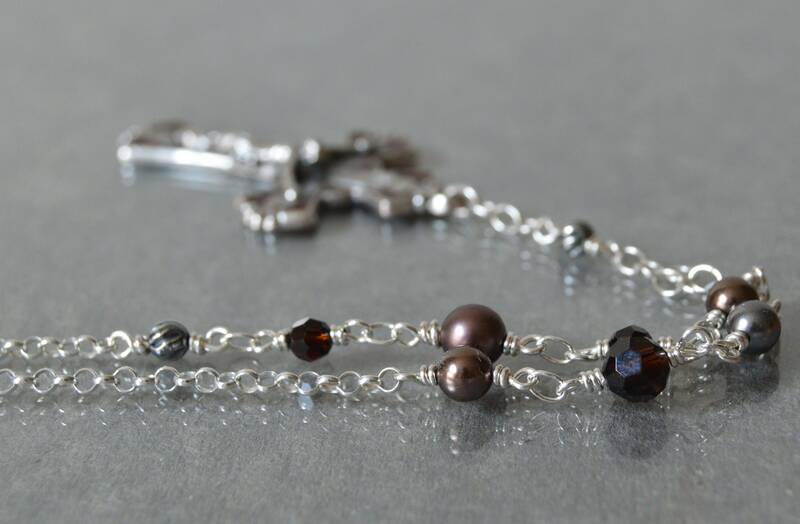 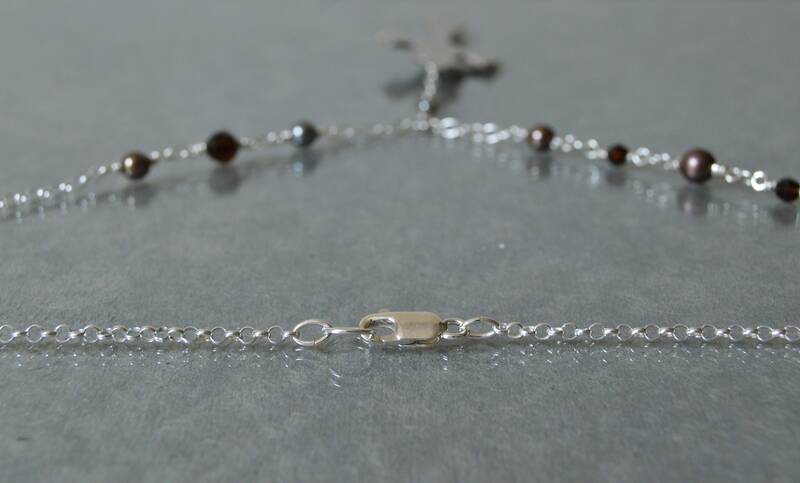 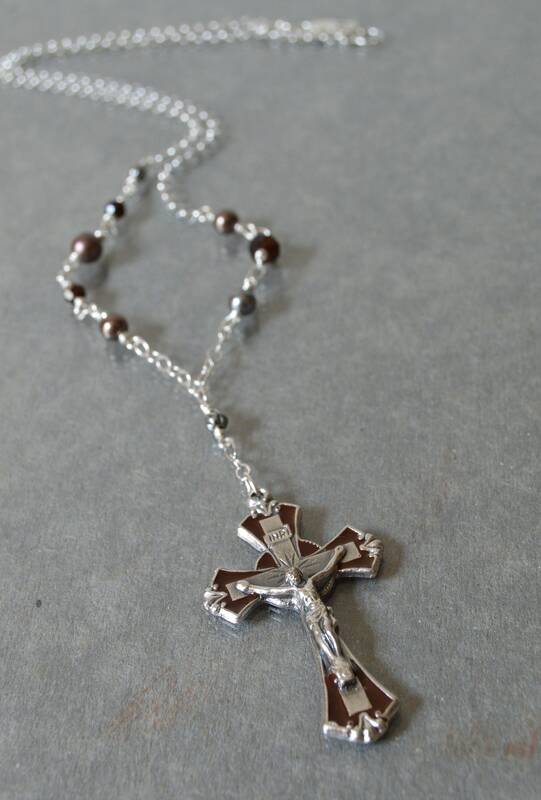 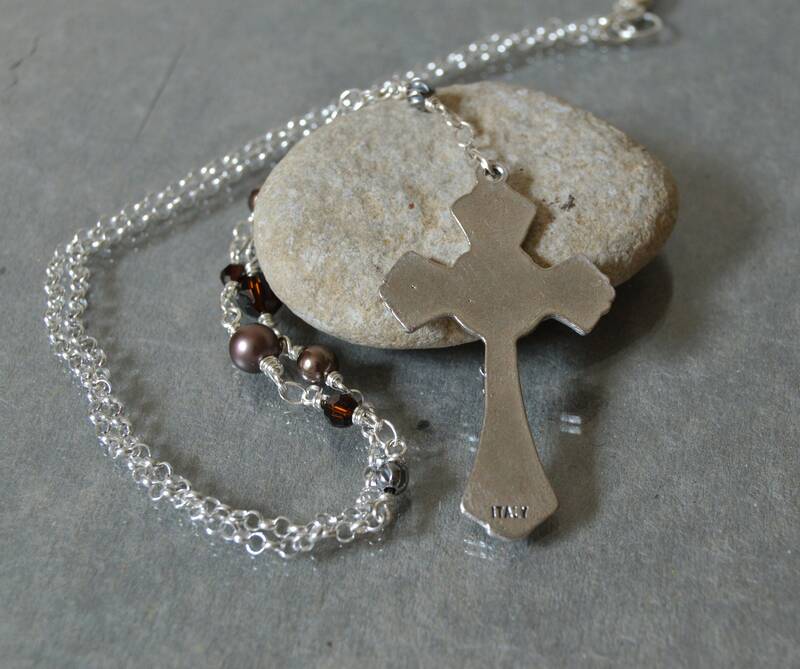 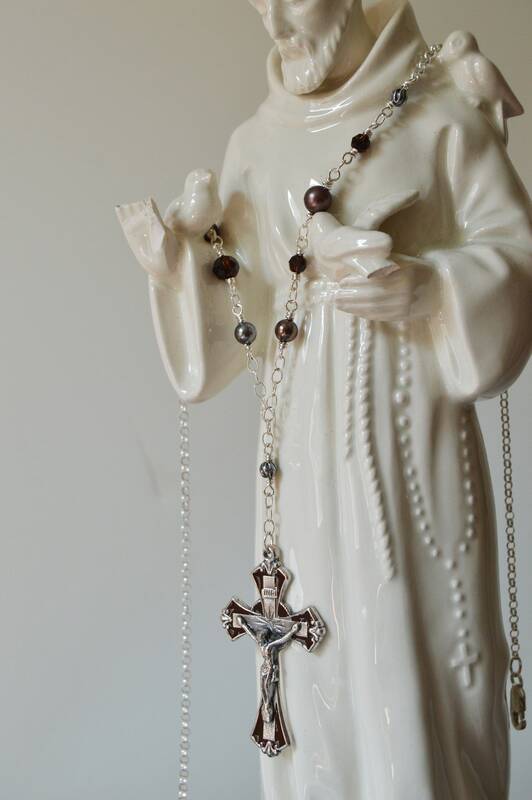 An antiqued sterling silver twisted bead leads to the cross creating a 2.5 inch drop. 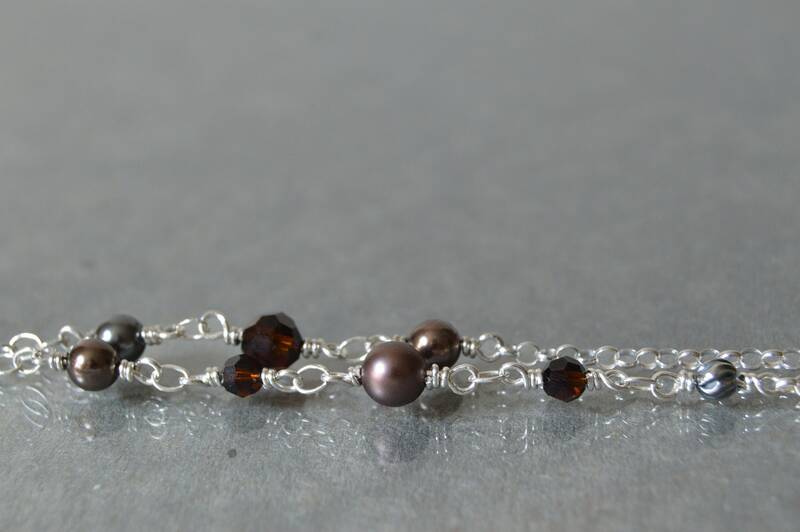 Sterling silver wire wrapped Swarovski® beads on a bright silver filled rolo chain is completed by a sterling silver lobster clasp.